For most of us, color is something we interact with constantly, but don’t think about too often. We perceive the world in a blur of colors, and we have that specific color that makes us feel better or worse. Do you want to think about pigments and stains in a whole new way? Then take one of the following online tests, which range from silly to insightful. Focusing on trivia, IQ, favorites, and your vision, these quizzes will help you see how color limits us with definitions yet sets us free with spectrums. Fireworks Pop is a quick test that presents color names spelled out in letters, but the letters are a different color. The test is to pick the color the word is, not the color the word spells. 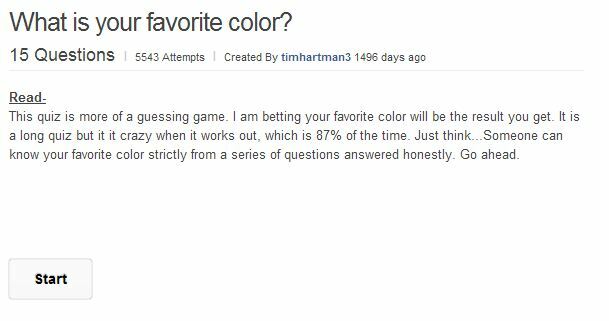 For example, the correct answer to “BLUE” is red, though most people instinctually would select “blue” after reading “BLUE”. This quiz highlights the struggle between the right and left halves of the brain. 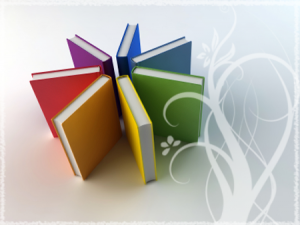 You might not expect a career planning site like Career Path to have a quiz about tints and hues. On this test you’re scored by your color preferences and judged by which colors are your favorites and least favorites. Your test results will tell you what sort of occupation would fit you best, and which environments will help you thrive professionally. XRite’s online color challenge measures how well you see pigment, shade, hue, and tone. Usually, “color deficiency” or “color blindness” tests involve spots of red shapes or numbers among a field of green spots. XRite offers you an interactive, if more difficult, way to determine which pigments pose a problem for your eyes. You might be under the impression that all you need is a pair of eyes in order to know your favorite color. You think you know, but you have no idea. The Pro Profs color quiz hopes to blow your mind and inform you what your real favorite color is, or at least attempts to make an educated guess based on your answers to their sometimes-controversial questions. 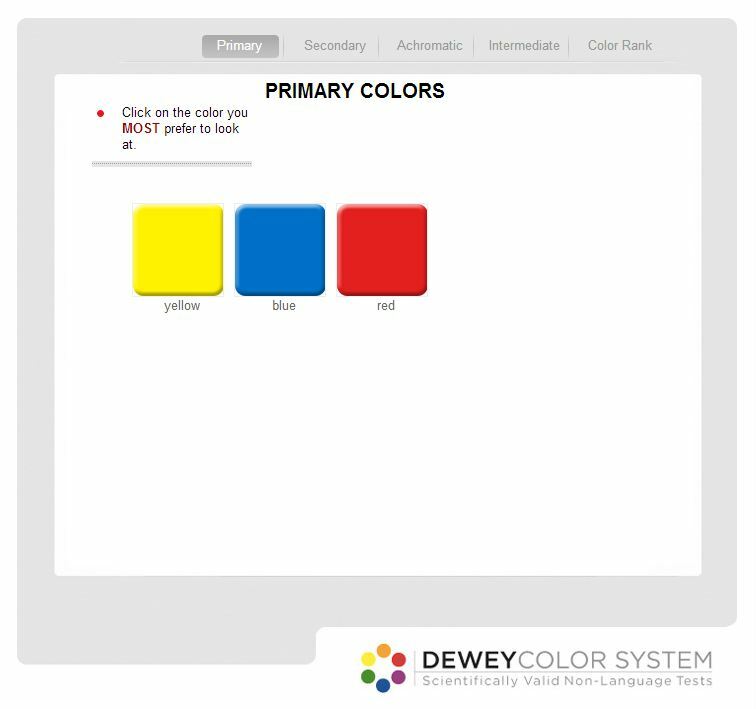 Most online tests about color try to assign a color to define, describe, and color code you. With so much competition in the field, the leader of the pack deserves serious props. Color Code, the most in-depth color personality test available, which measures your answers against their personality science metric, comes in two forms: basic and full. The exceptionally thorough full analysis costs you $40, but the basic analysis is totally free. Don’t let the name fool you, either: the free personality test at Color Code is as exhaustive as any other quiz on this list. 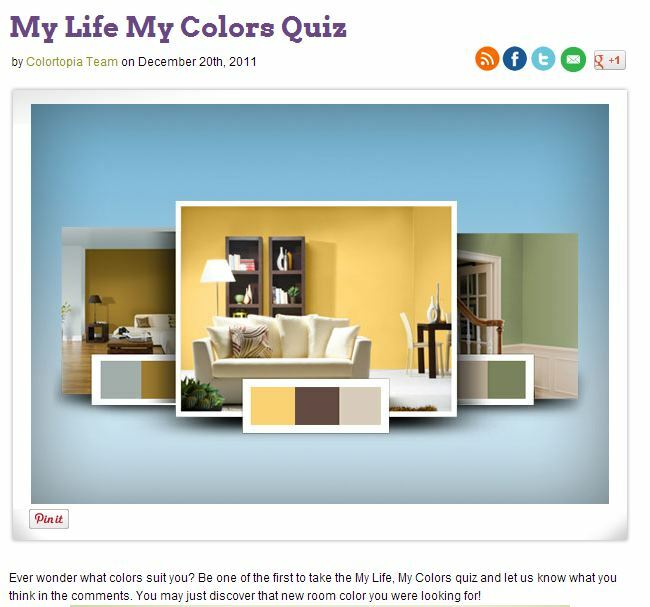 The My Life My Colors quiz will help you determine which tones you should surround yourself with, in terms of decorating. This test is not meant to find your favorite color, or which color describes you, but which color will make you feel the most at ease when painted on your walls. 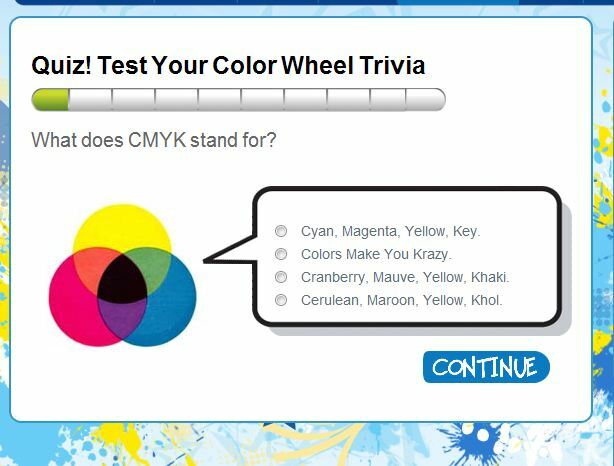 The Kidz World Quiz called “Test Your Color Wheel Trivia,” will at first make you feel like a genius. If the website’s title didn’t clue you in already, perhaps the glut of animated characters will help you to realize the quiz is aimed at young children. Don’t worry, you’re still a genius! You may be a genius, you special snowflake you, but are you a color genius? 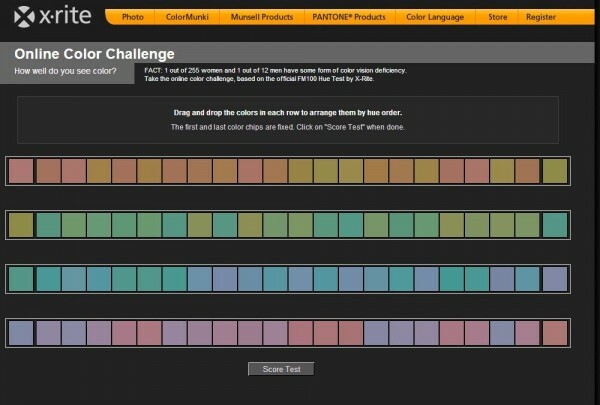 From one extreme to the other, take the granddaddy of all color quizzes. The Science of Color quiz at Fun Trivia is not meant for the casual color observer. Laypeople likely aren’t familiar with the terminology of optical illusions, illuminants, standard observer models, or specular components. If you know color well, however, take this quiz and show off your skills. Did these tests make the grade? 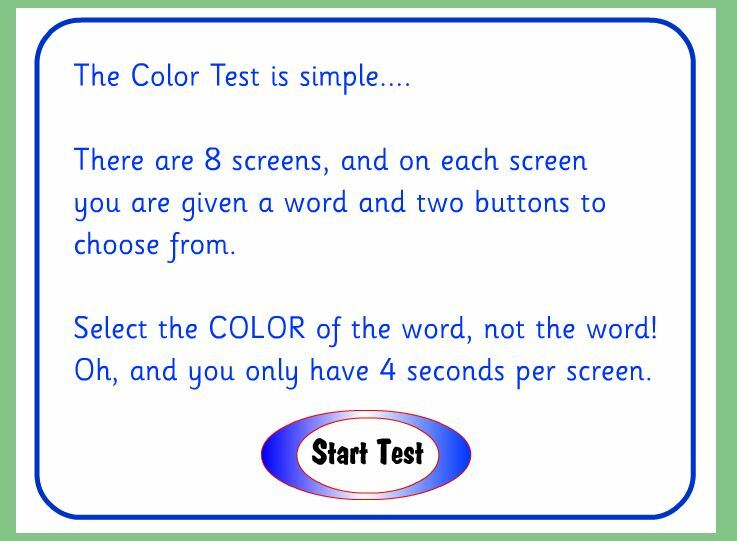 Let us know what you think about these color test and quizzes and share any others you find online.